But this area wasn’t always a mecca of pristine, powdery slopes. The Village of Taos Ski Valley, situated in the rugged Sangre de Cristo Mountains, was originally settled by a group of hearty and adventurous miners in the 1800s. Today, intrepid skiers and outdoor enthusiasts inhabit the community year-round. In fact, the Taos Ski Valley is the brainchild of a Swiss-German named Ernie Blake and his wife Rhoda. A passionate skier, Blake dreamed for years of building a ski area, and launched Taos Ski Valley in 1955 on a shoestring budget. The European atmosphere and architecture of Taos Ski Valley is due to the ski area’s pioneers — a mix of German, French, Austrian and Swiss residents and employees — combined with the local Native American and Spanish cultures. The Village is surrounded by the Carson National Forest and offers activities, special events and fine dining all year long. 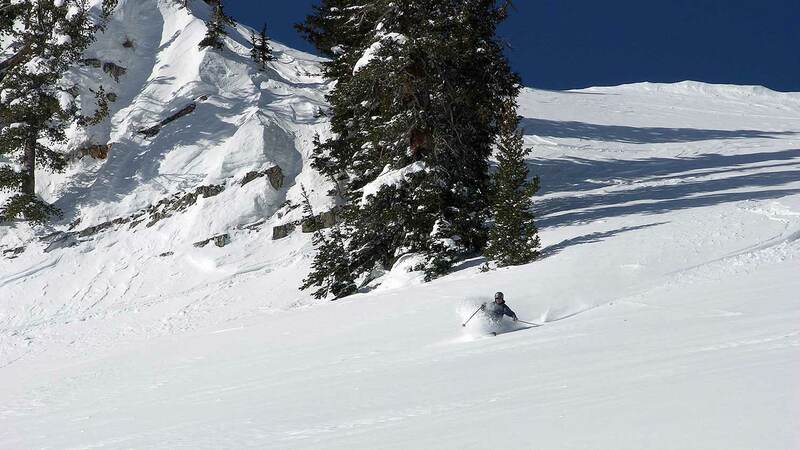 With an average annual snowfall of more than 300 inches, it’s easy to find prime powder all winter long. For a special treat, check out the Kachina lift — it serves the highest elevation of any triple chair on the North American continent. Talk about living the high life!